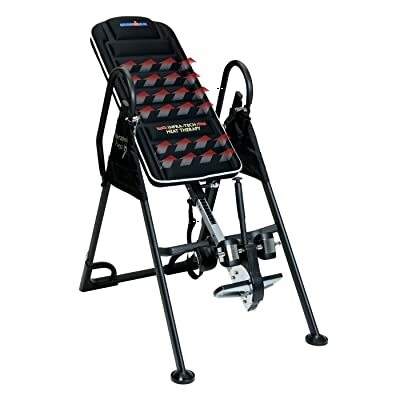 What Should You Consider in Buying Inversion Table? How to Select the Best Inversion Table? There’s a lot of buzz that is going on in the world of health and fitness. It is because of a certain equipment that offers a bunch of healthy benefits such as back pain relief and effective maintenance of the spine. Behold the emergence of inversion tables. Well, there are several scientific evidences showing that inversion tables truly work. However, because of the vast range of options in the market, it would really be difficult for those who want to try its magic, to choose the right inversion table. If you’re among the people who have been experiencing back problems lately and you want to try if the scientific evidences about inversion therapy is real, check out the guidelines on how to choose the best inversion table for you. Many people have been recommended treatments by having them hang upside down, called Inversion Therapy. While it is not recommended to everyone, especially for patients with heart and blood pressure related diseases or people with glaucoma or pregnant ladies, this can help people with issues with their spine and/or back. An inversion table is a device that lets people who wish to practice inversion. One of the most popular brands in the market is the Ironman Gravity Inversion Tables. It is a sturdy mechanism that helps people with back issues such as stress and in stimulating appropriate blood circulation. The frame is made of tubular frame and has a memory-foam nylon backrest that is very comfortable on the back. The backrest has a powder-coated finish. The machine stands on metallic feet, again tubular but ending in non-skidding rubber caps that prevent the device from slipping while in use. The backrest can be inverted up to 180 degrees. The ankle cushions and ergonomic and can withstand weight of up to 300 pounds. The device is very easy to fold and store, this making it a compact exercising machine. Its dimensions are: 26” width, 65” height and 40” length. It weighs about 75 pounds. The product is available easily in many stores and on online shopping sites too. While you must take medical advice before you start using this machine, if recommended, this works really well for people with back issues. Those who sit for hours in front of their PC or laptop with not much physical activities or those who have suffered back injuries can benefit from an inversion table. Ironman inversion tables are manufactured by a company that has a lot of experience in manufacturing these and other fitness devices for many years. They ensure you get the maximum results while exercising and that you do so safely. Having an inversion table that is not firm and steady can be disastrous. So be sure to choose one that has safety measures in place already! 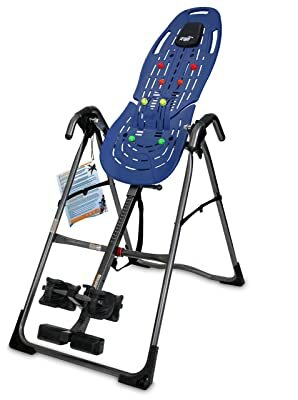 From the features given above, you will see that a large person can also use this inversion table and with rubber caps at the bottom, can be assured that that device is going nowhere. It is held firm while exercise. So for those who want to relieve themselves of back and spinal troubles, consult your physician and get ones of the economical inversion tables today and get rid of those painful problems. This is perfect for those who are searching for an inversion table which can also facilitate ab training. It boasts its sturdy oval tubing steel frame, memory foam vinyl pillow, as well as heavy nylon backrest. It also features 10 varying inversion locking angles as well as durable rubber non-skid floor stabilizers. You will certainly make the most of your inversion table budget with this Ironman device, since you’re able you get the best of both worlds: the perks of inversion therapy and latest FIR heat technology. It features an ultra-thin carbon heating components that are in the backrest which can truly soothe the muscles. It can invert to 180 degrees and it has 3 starting positions. If you feel constant back pain, or if you feel stressed and frustrated, especially after long day in the office, you may want to consider purchasing a Teeter inversion table. Inversion therapy is ideal for the back pain relief, and you will practically hang on the teeter inversion table upside-down. However, this therapy is not recommended for the people with high blood pressure, glaucoma, or heart issues, because when you use this bed, heartbeat will slow down, and blood pressure will be increased. If you do not have any of these issues, you should try teeter inversion table therapy. You will get rid of the back pain. You will ease the stress, and you will also improve your flexibility and joint health, which is why this item is something that definitely helps. From the moment this Teeter inversion table hit the market during 2012, until today, it is one of the most popular inversion tables in the market. It is designed to help you to say good-bye to the back pain, and to feel relaxed and stress-free. It will maximize your spinal comfort. It has the steel frame created to boost the stretching. The weight capacity of this inversion table is 300 lbs. If you decide to purchase this table, you will also get instructional DVD that contains five healthy routines that will help you to improve the quality of your life. Moreover, you will get the 5-year warranty. This teeter inversion bed was built to help you, and because the price is affordable, this is something you should definitely purchase. It takes pride from its Acupressure Nodes and Lumbar Bridge, since these can fit anywhere in the innovative bed design of the inversion table. It has ergo-embrace ankle cups as well as built-in grip and stretch handles for more stretching as well as decompression. When it comes to safety, it has secure lock which is beneficial during inverted exercise and precision balancing for convenient control. An inversion table is a device used in inversion therapy where the user rests in an upside down position to allow gravity to act on the body so as to relieve the pressure build-up in the spine. The frame and stand of the table is made of steel to increase its strength so as to accommodate users of all sizes and weights. It comes with straps and ankle cuffs to secure the user in position and provide stronger support. It is available in different shapes, sizes and specifications to fit the needs of different users. There are collapse and fold design to enable the user to adjust to different angles. Step 1: Adjust the table to your height, usually about 1 to 2 inches taller than you: To get started, you have to place the inversion table on a level surface. After this, you need to confirm the measurement on the sliding bar which is usually calibrated. This can be adjusted to fit your height say if you are 6 feet 1 inch and the bar previously was set at 5 feet 7 inches, you have to disconnect the safety strap followed by loosening the adjustment knob and sliding the bar to exceed your height by 1 to 2 inches. After that, secure the knob tightly back to the locking position then reconnect the safety strap to fit the changes and prevent all-the-way inversion. This way, you can prevent some accidents since your body weight will be pressing downwards. Step 2: Make sure that both ankles are secured by the ankle holder: In order to achieve this, it is important for users to wear athletic shoes that provide the best grip onto the ankle holder. As a precautionary measure, never use an inversion table bare footed since you can easily slide and end up falling down causing injuries. After wearing athletic shoes, position yourself with your back towards the backboard table. Once in place, bend forward then reach for the locking lever and secure your feet in position. Adjust until you feel cozy in it. Step 3: Achieve your balance for inversion: After completing the above step of getting your feet snug and in position, the next step is to secure your body in position using body straps, if available since inversion tables differ in construction. Lock all other safety gears before attempting to adjust to inversion position. Even though you had placed the inversion table in a level ground, you will have to balance your weight by holding the straps on either side of the table and pushing down so as to invert your whole body. It Relieves Back Pain: Users suffering from frequent back pain caused by disease, infection or injury, can manage the pain by relaxing in an inverted posture for ten minutes. Inversion tables allows the spine to relieve pressure build up by stretching out, hence pain is totally relieved or eliminated. Improves posture: The law of gravity acts downwards causing the spine to take all the weight of the body. This causes the spine to adjust to the demands hence distorting it. Lying in the inversion posture gives the spine some space so that realignment becomes possible hence easy to attain a good posture. Decreases Pressure on the Sciatic Nerve: This pressure is caused by inter-vertebral disc prolapse which in turn causes pressure on sciatic nerve. Due to the pressure, inflammation may occur. These inverted tables help to relieve the pressure on the sciatic nerve, making it effective so it gets rid of the signs and symptoms all together. Reduces pressure on the discs within the spine and neck: Working the whole day can exert a lot of pressure on the discs in the spine as well as the neck. Sleeping at night can relieve this pressure but not effectively. This table allows your neck and spine disc to recover its displaced fluids hence reducing the pressure. Helps to realign the spine: Pressure caused by poor sitting posture and carrying heavy loads tends to distort some parts of the vertebra through the force of gravity. It has been proven that inverting your body in a 60 degrees angle can get this pressure back to normal and cause the spine realign. Improves circulation: A certain posture is vital to enhance blood flow and these inverted tables makes this possible. Improves lymphatic movement: The body works against gravitational force while getting the lymph from the lower side and torso. With a little incline angle below the horizontal, the flow of these fluids becomes easier just like blood. Increases oxygen to the brain: Since it increases blood flow to the brain, oxygen level is also increased. Relieves pressure on the internal organs: Gravitational force acts downwards hence causing stress on most organs. Spending only 10 minutes in the inverted position, can relieve the pressure. Improves flexibility: Since you spend you days working, spending some 10 minutes in the inverted position can make you more flexible without experiencing any pain. There are many different types of inversion tables available in the market. Your choice will depend on your needs, the level of your comfort you desire as well as the cost of buying one. Having known some features of the top 3 tables in the market, you can now acquire one because you are now well informed about the benefits they provide. These devices are simple to use hence no complex hassles with assembly and storage. According to inversion table reviews, aside from easing the general back pain, you can as well maintain the healthiness of your lymph system. Based on the experts’ findings, hanging upside down can flush certain amounts of water that are in the lymphatic system. Inversion tables can as well ensure that there is enough amount of blood that flows in the different parts of the body. Last but not least, inversion tables can reverse spinal compression, by stretching the spine, which results to the maintenance of height. Before you go on board on inversion therapy, however, you must have the proper equipment. If you are going incorporate this kind of treatment into your daily routine, then investing in a quality inversion table is a great way. When shopping for this equipment, you should consider some factors before purchasing. First thing you should consider is comfort. The level of comfort is so significant in the quest for the deal inversion table. Since this is for regular use, make sure to check it out first. Make sure there is enough space to move around, if you will be using this in a regular basis. Second, pay attention to the price and warranty. The inversion table can cost from $105.20 to $500, so if you have more money to spend, then choose the table that is built with sturdier, bulkier materials. Warranty should also be checked. This will help in case a replacement for parts or repair is needed. Lastly, pick the kind with the best features. You can have one with simple and efficient features or the kind with jam-packed features like complete inversion capability and numerous inversion angles. Take time to review the range of features that you can select from and identify which ones you really need. Logic can’t explain the act of spending money on something that won’t even last for a year or so. 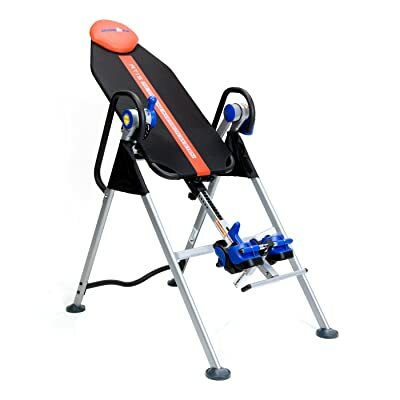 Therefore, same when searching for other appliances or gadgets, it is very crucial for those who want to have an inversion table to ensure the durability of the product that they’re considering of buying. The durability can be ascertained by evaluating the materials that were used in crafting the frame of the body. There are a lot of inversion tables in the market that offer a variety of features. According to inversion table reviews, an excellent inversion table is the one that have additional perks. A high quality inversion table is something that allows the user to adjust at varying angles. For example, the user may begin with 20 or 30 degrees during the initial week of usage and then the user can gradually transit to higher inversion as well as stretching. This is only possible if the inversion table features smooth motion. Remember, once you use an inversion table, you’ll be upside down, thus, you surely want to make sure that you’re comfortable and safe while on it. The key here is check the durability of each and every part. 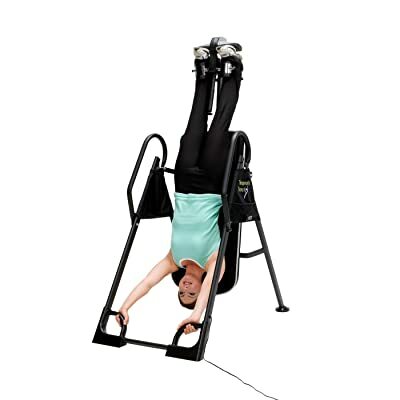 This is considered as the primary component of the inversion table. This supports not only the table bed but above all, the entire body of the user once he’s upside down. There are a lot of brands that offer long warranty, and this is among the signs that an inversion table is high quality. This has adjustable height beam in order to conform to the size of the body and the feet. Simple inversion tables feature nylon table bed, while the other brands offer much better quality materials. There are inversion table designs that have detachable pads, enabling the user to have more freedom when working out. Also, the more pads there are, the more you are able to face up or down while inverting. These are responsible for securing the ankle while inverting. In case you figure out that you don’t want to hang by your ankles, an excellent alternative is usage of padded knee bar. This holds the device as well as the user on the floor to avoid slipping. In simple inversion tables, as the bed rotates, the user needs to hold onto the hand grips when moving his body. Premium inversion tables on the other hand has a switch which needs to be flicked in order for the user to move.